Or perhaps, I have already lost it little by little… 2018. for piano. in ricordi di Avelina Manalo. No one crosses the same river twice. 2018. for clarinet. Neither here nor there. 2017. for alto flute. for Marilène Provencher-Leduc. Urgency // [In] Sculpting An Invisible Rock. 2016. for piano accompanied with oboe (doubling English horn), clarinet (doubling bass clarinet), trumpet, trombone, percussion, violin, cello, contrabass. 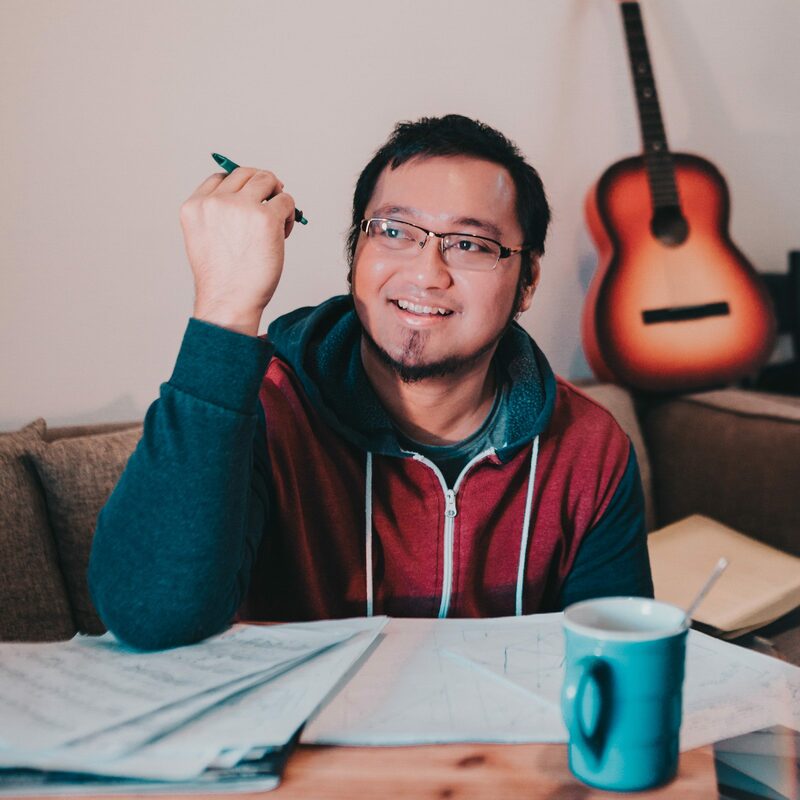 the concerto is an amalgamation of two separate works: Pagkukumahog (Urgency) for solo piano , and Sa Paglilok ng Batong Hindi Nakikita (In Sculpting an Invisible Rock) for chamber ensemble . 2015. a miniature study. for alto flute (doubling piccolo), clarinet (doubling bass clarinet), percussion, piano, violin, cello. written for a reading session with Ensemble Transmission. 2015. composition sketch. for alto flute (doubling piccolo), alto recorder, oboe, alto saxophone, percussion, cello. composed for the Kansas City-Montreal Exchange project under the Montreal Contemporary Music Lab and the Black House Collective. …(draw out) The Depths of the Ocean. 2014-2015. for piccolo (doubling alto flute), clarinet (doubling bass clarinet), percussion, piano, unamplified guitar, viola, cello. In His Baby Cries, other possible translations. 2013. for flute, viola and piano. In Her Baby Steps. 2013. for sextet: piccolo (doubling alto flute), clarinet, piano, violin, cello, double bass. 2012. first version for bass trombone and piano. second version for clarinet and piano. 2011. for sextet: oboe, french horn, bass trombone, marimba, piano, cello. In His Voyage. 2010. for viola, cello and double bass. In Her Glances. 2009. for sextet: flute, bass clarinet, vibraphone, piano, violin, cello. awarded 1st place in the Goethe Southeast Asian Young Composer Award sponsored by the Goethe Institut Malaysia.